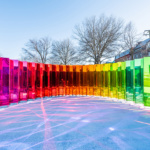 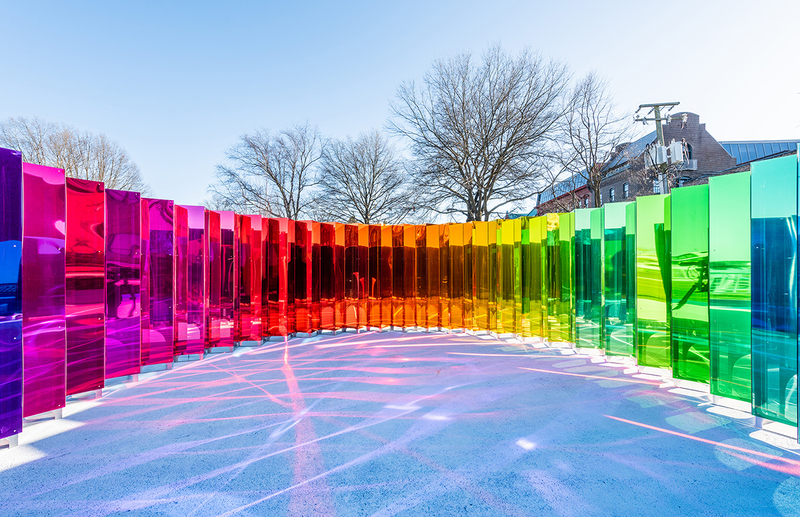 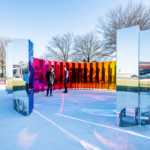 New York–based practice SOFTlab recently completed an interactive installation on the waterfront of Alexandria, Virginia. 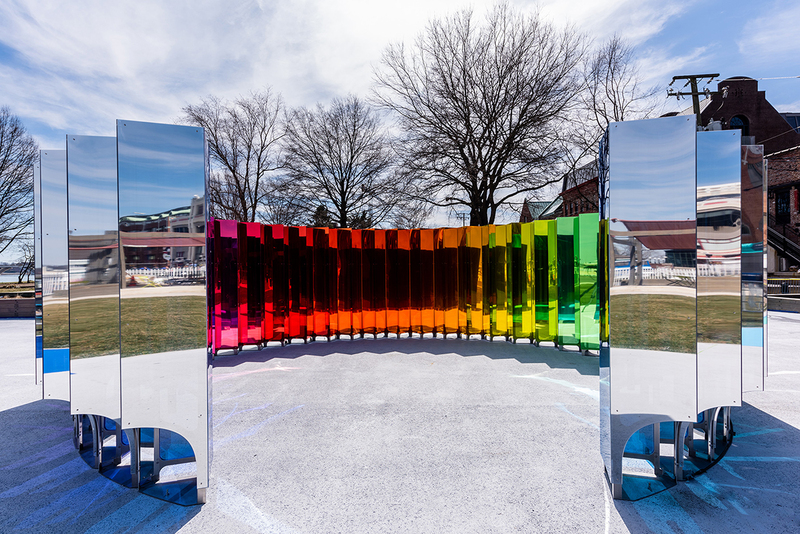 Titled Mirror, Mirror, the eight-foot-tall circular construction features a faceted surface made of acrylic lined with one-way mirror film. 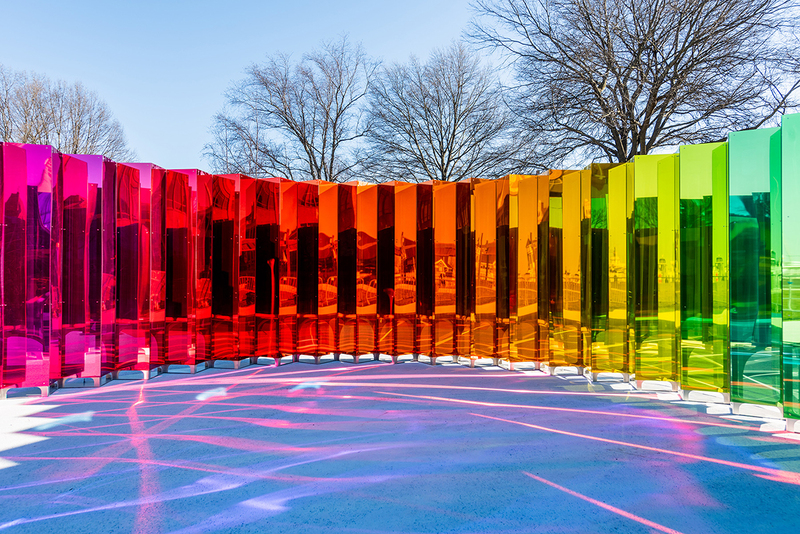 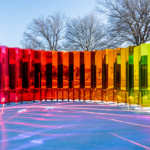 During the day, the acrylic is opaque, creating a crystalline mirrored exterior and a brightly-colored rainbow interior. 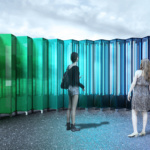 At night, however, when LED lights behind the acrylic turn on, the construction becomes a lively lighthouse. 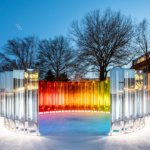 Microphones pick up ambient noise and translate it into a flashing light show. 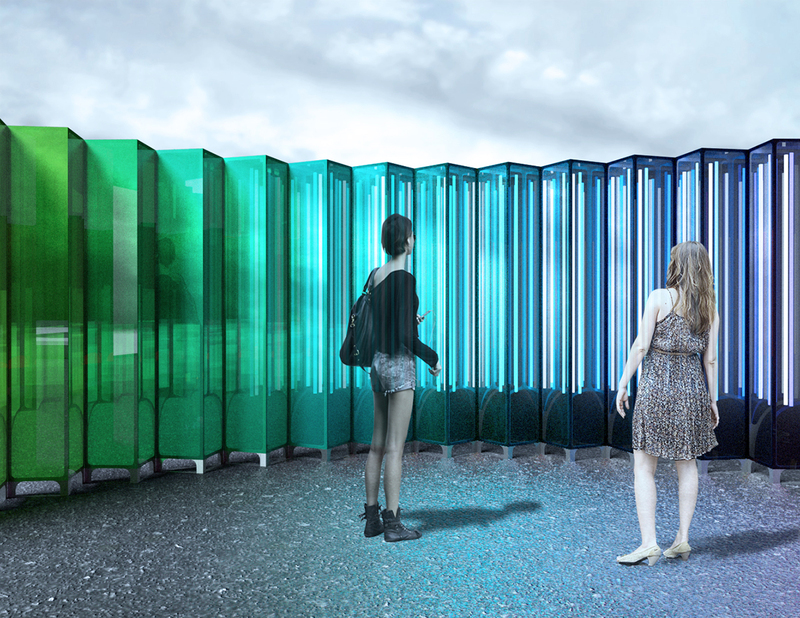 When the area is quiet, the lights pulse with a wave-like flow. 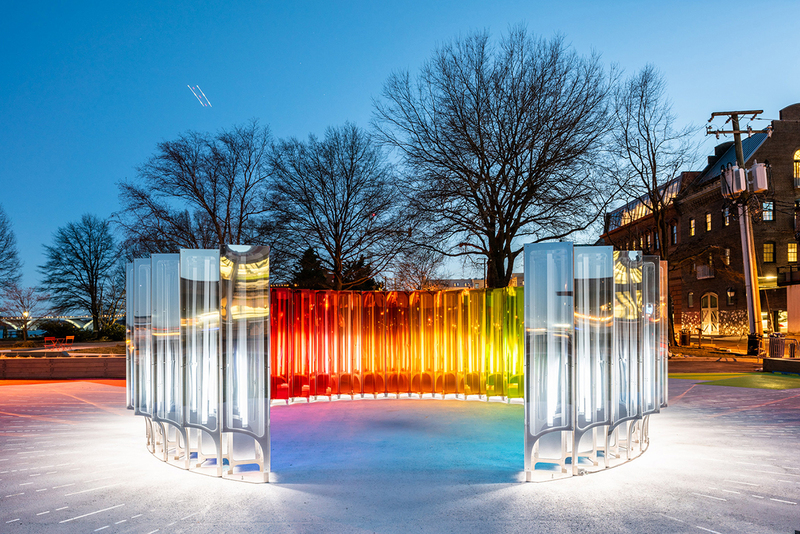 The work, not from the banks of the Potomac River, took inspiration from Alexandria’s historic Jones Point Lighthouse, which used advanced lens technology in the 1800s to guide mariners to safety. 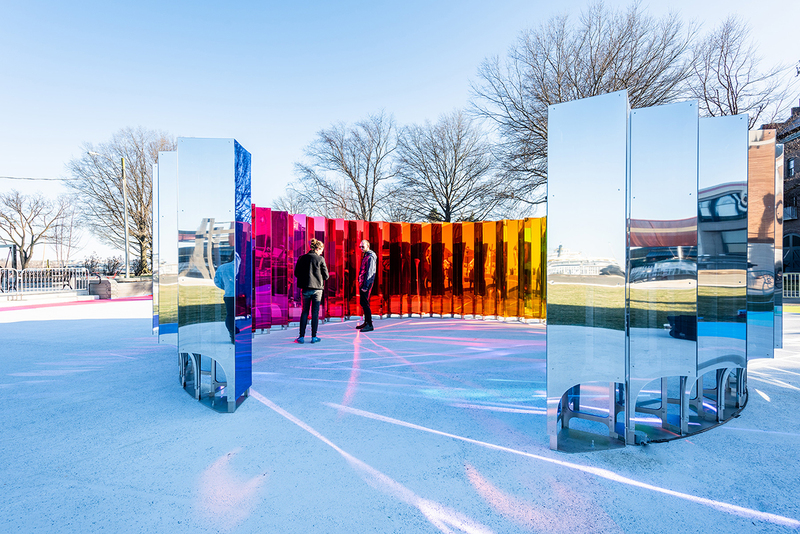 Mirror, Mirror opened on March 30 and will be up through November, 2019. 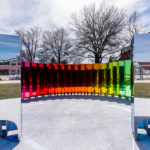 It is the first artwork in Site/See: New Views in Old Town, a program run by Alexandria’s Office of the Arts to bring attention to the city’s historic core.